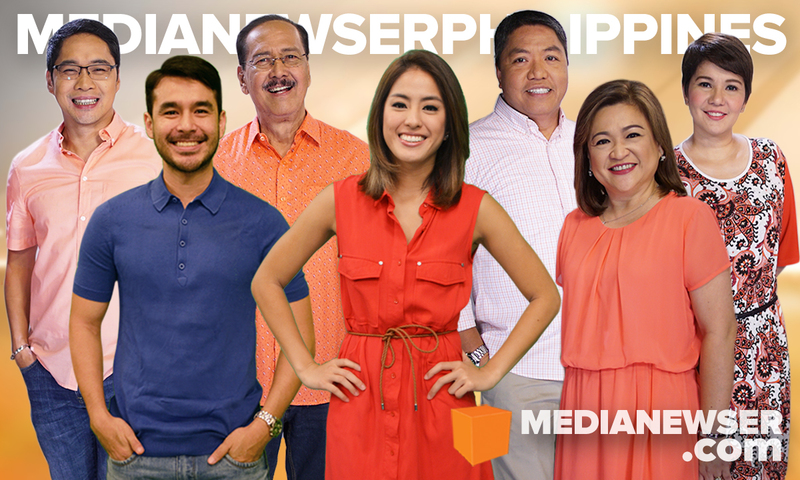 Jorge Cariño, Atom Araullo, Gretchen Ho, Winnie Cordero and the rest of the Umagang Kay Ganda team have a lot to smile about these days as the show marks its 10th anniversary this week — the first ever Kapamilya morning show to reach a decade. But aside from reaching a television milestone, there's another reason why mornings are sunny for the UKG team as the show now continuously shrinks the ratings gap with GMA-7's Unang Hirit in AGB Nielsen's Nationwide Urban Television Audience Measurement (NUTAM). Media Newser Philippines recently spoke to the show's executive producer, Jaime Bolok, to talk about UKG's 10th anniversary, and what's in store for the viewers in the coming weeks. Media Newser Philipines: The show is marking its 10th year on the air. How important is this milestone for you, your team and the management? Jaime Bolok: While ABS-CBN pioneered the morning show format in the Philippines, Umagang Kay Ganda holds the sole distinction of reaching a decade. But reaching 10 years was not an easy task. We've had our share of heartaches and defeats. But the program is blessed with a team of like-minded individuals (who loves the show so much) ready to face the next challenge that comes along. We often tell younger members of the staff to constantly challenge themselves the same way we did when UKG was starting. Celebrating 10 years validates our mission and purpose, that is to be in service to Filipinos from the moment they wake up to start their day. "Part of UKG's success is its current anchor team. Our current anchors have great on-screen and off-screen chemistry because they genuinely like one other. You should see them talk to each other and have fun during breaks." MNP: How are you planning to celebrate this, and how will you make your viewers part of this important milestone? JB: We are launching a series of events to celebrate a decade of Umagang Kay Ganda. There's the Nanay Convention an on-ground activity for mothers where they get to interact with our anchors and experience some of the program's segments. We've prepared cooking demos, beauty and wellness tips, home management talks, plus plenty of games and raffle draws. We're doing the convention in Luzon, Visayas, and Mindanao. Second, after the success of Gwapulis last year, we are launching a search for outstanding mothers called 'Nanay Kong Kay Ganda.' Another project we are launching as part of the anniversary is the 'Nanay Manual.' It's a compendium of recipes, kitchen hacks, safety and home management tips. There's even a chapter on practical feng shui for the house. The 'Nanay Manual' is published by ABS-CBN publishing, but we are giving it away for free as a way of thanking our audience. MNP: Entering the show's 11th year, what, as the show's executive producer, did you learn from the past 7 years in handling a morning show? JB: I've been in the morning show for 7 years and I've learned that an excellent product that you believe in, coupled with perseverance and teamwork will create morning TV magic. MNP: UKG is no stranger to on-air revamps and there's a long list of incarnations prior to the team you have right now. Should we expect another one soon or is this the team viewers should expect to see in the foreseeable future? JB: Part of UKG's success is its current anchor team. Our current anchors have great on-screen and off-screen chemistry because they genuinely like one other. You should see them talk to each other and have fun during breaks. They even have this unwritten rule that the last person to arrive in the studio gets to buy coffee for everyone. Each person in this group has a very defined role which makes them relatable to our audience. Our hosts also echo the views and sentiments of our core viewers. It will be the same lean and mean team that viewers will wake up to in the coming years. MNP: Moving forward, what should we expect to see more on the show? JB: UKG has always given premium to news, our vision is to be an information hub where viewers get the information they need to start the day. We also try to reinvent the way we present the news to our viewers. At the same time, we are steadily building a pool of experts to help our viewers understand the news better. We balance this with lighter features to provide a respite from issues and hopefully encourage our audience and their families to live fully, one Umagang Kay Ganda at a time.